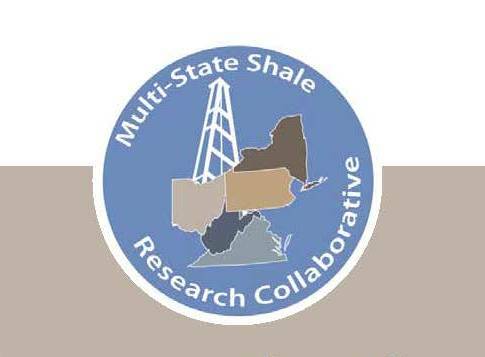 The case studies, which were completed by the Ohio, Pennsylvania and West Virginia organizations that are part of the Multi-State Shale Research Collaborative, build upon the Collaborative’s November 2013 report Exaggerating the Employment Impacts of Shale Drilling: How and Why. That earlier report documented the ways in which the oil and gas industries and their supporters have exaggerated the employment impacts (both actual and potential) of shale drilling. It also exposed the motivations for these exaggeration strategies: to preclude, or at least to minimize, taxation, regulation, and even careful examination of shale drilling. The Fiscal Policy Institute is a member of the collaborative along with Policy Matters Ohio, the Keystone Research Center, the Pennsylvania Budget and Policy Center, The Commonwealth Institute for Fiscal Analysis (in Virginia), and the West Virginia Center for Budget and Policy. While the case studies make important contributions to the process of identifying and exploring the social and economic costs of shale drilling booms, much work remains to be done in order to fully and accurately quantify the costs and the benefits involved in the application of horizontal drilling and high-volume hydraulic fracturing technologies. The studies also provide important reminders of the many public health and environmental questions that remain unresolved regarding the various stages of the shale drilling process. According to the case studies, issues regarding water quality and waste disposal are proving to be particularly problematical. When asked about the lack of local workers, gas companies claim that it is difficult to find local workers who can pass a drug test, but such claims which have also been made by gas companies in Pennsylvania remain uncorroborated. Besides very little employment in drilling and other gas and oil industries going to local residents, the Greene, Tioga and Wetzel case studies all found that the income from signing bonuses and royalties (which increase per capita income, i.e., all the income of an area divided by the total number of residents) has not been broadly shared. It turns out that a small number of landowners, including out-of-state businesses and out-of-state residents, own a large share of the property, meaning that much of the lease and royalty income is concentrated in very few hands, and that the benefits to the local economy have been diluted as income “leaks” out of town and out of state. The case studies also do a good job of identifying the wide range of costs that are being shifted by the industry to state and local governments, and to the local economy more generally, in the form of more traffic accidents and more road congestion and road damage, increased police and emergency services costs, increased rents, increased homelessness as lower income residents are priced out of the rental housing markets, increased crime, and increased emergency room visits. In Greene County, Pennsylvania, the researchers even found that low-income families, unable to find affordable housing, were separated as children were placed in the foster care system.